Growing older doesn’t have to mean slowing down, especially with the benefits of staying mobile, social and engaged. The U.S. Census Bureau reports that the global population of adults over 65 will more than double by 2050 and that the growth of this group will continue to eclipse that of younger generations. As staggering numbers of baby boomers retire and humans live longer with good health, older adults seek ways to remain active and happy. It is crucial for older adults to participate in physical activities, mental challenges and social interaction. Luckily, there are many to choose from. 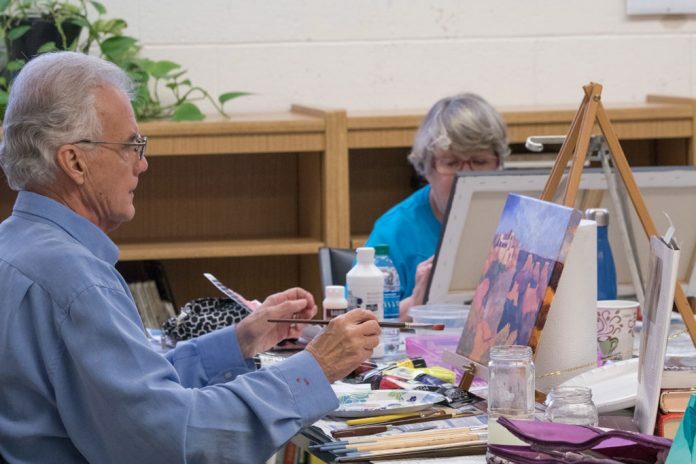 With senior activity centers, public libraries, arts organizations and dance studios, older adults have many options to find activities that promote mental, physical and emotional well-being. “I see us as a prevention provider for all aspects of health,” says Doug Paulsen, supervisor of the Woodson Senior Center in Oklahoma City. 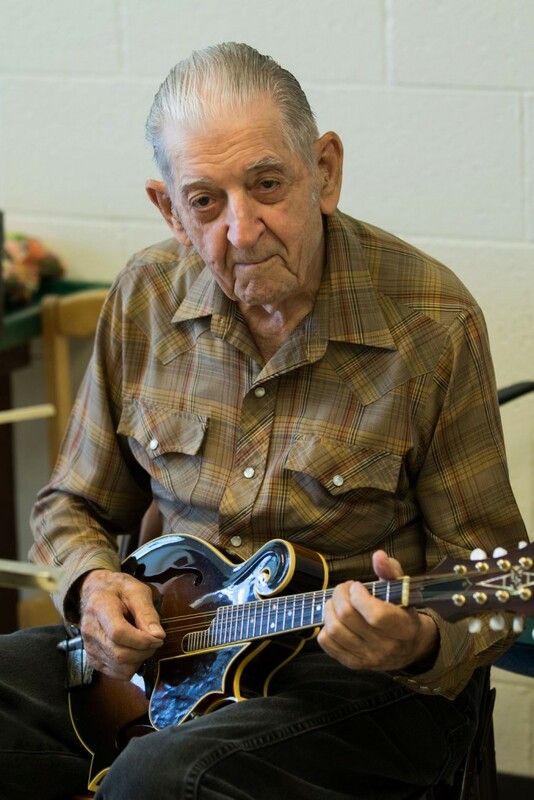 For decades, the center has offered everything from music lessons and gaming clubs to travel opportunities and language classes. Following are a few options that active older adults have in Oklahoma. A major barrier for many who want to volunteer is simply time. For older adults enjoying retirement, that time can be well spent as a volunteer for a charitable organization, educational institution or library. For example, organizations like Meals on Wheels provide social connections and relationships not only for meal recipients, but for volunteers as well. Calvin Moore, president and CEO of Meals on Wheels Tulsa, says volunteers play a crucial role in the organization’s mission. Low-impact exercises like tai chi improve balance and strength and are increasingly popular with older adults. Many organizations have partnered with the Oklahoma Healthy Aging Initiative to implement tai chi programs for older adults. And according to Darrie Breathwit, adult and senior services librarian at Southern Oaks Library (Metropolitan Library System) in Oklahoma City, exercise isn’t the only perk. If you can think of a type of book club, it exists. There are book clubs for mystery lovers, for nonfiction fans and, of course, for older adults. Breathwit says her library’s book discussion group fosters lifelong learning through explorations of both fiction and nonfiction. The group has been going strong for 16 years. Bookstores also often host bookworms for literary-themed meetings. These clubs are not restricted to face-to-face meetings, either; as the number of older adults using digital technology increases, online book discussion groups offer a wide variety of opportunities. And if none of these options sounds appealing, no worries – anyone can start a book club tailored to individual reading preferences. Travel often means the chance to meet different people, explore exciting places and try new adventures. Many organizations offer travel opportunities tailored to groups of older adults; for example, 40 older adults who attend activities at OKC’s Woodson Center will hit the road in October for Albuquerque’s International Balloon Fiesta. Companies like Road Scholar provide national and international themed trips specifically for older adults, as do many university alumni associations and the AARP. Many of these travel opportunities are available for solo travelers, couples or larger groups. Picking up new hobbies helps keep everyone’s mind agile and challenged, regardless of age. Virtually all craft stores offer classes in a variety of skills, from painting and pottery to embroidery and scrapbooking. Activity centers for older adults have a full calendar of meetings for people interested in creative endeavors, like writing or woodcarving, and local yarn or quilting specialty shops often host regular meetings where participants can gain crafty new skills and make friends. In the wide world of games, there’s something for everybody. 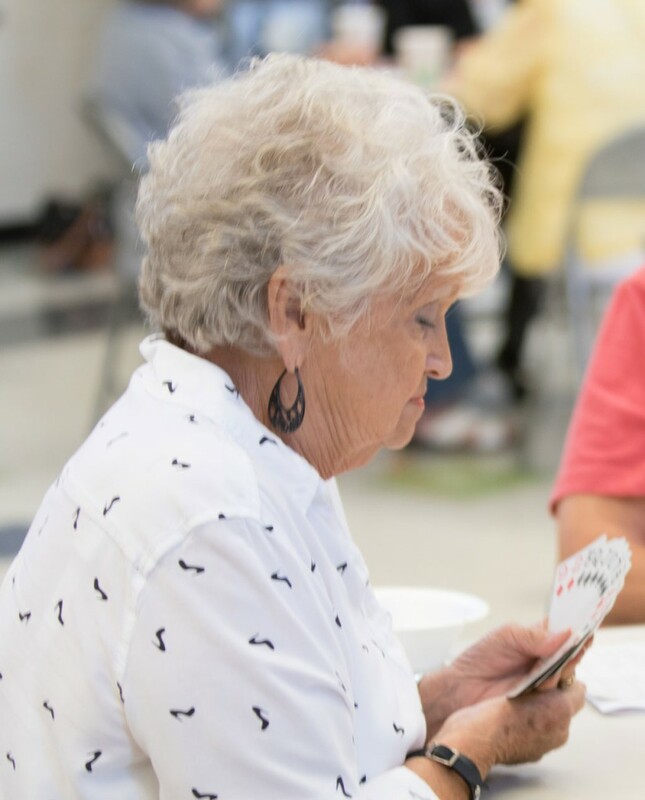 Card sharks can join bridge, pinochle and rummy groups at activity centers to bring their A-games to fun, competitive challenges. Board game cafés like Loot and XP in Norman are treasure troves, with classics like Scrabble and backgammon as well as intricate themed games that yield hours of immersive interaction. Many cafés ask for a small fee in return for unlimited play time, and offer drinks and snacks in an environment friendly to all ages. Unsure what to play? Just ask to join a game. Ready to say more than “hello” in Spanish? What about Welsh, or even Cherokee? The myth that only children can learn a second language fluently is just that – a myth. Many activity centers and libraries offer free classes for learners of all ages. Both the Metropolitan Library System in Oklahoma City and the Tulsa City-County Library System offer free access to language apps like Mango. Free phone apps like Duolingo provide a variety of language lessons that build and reinforce concepts for all skill levels. If you find yourself jealous when watching the culinary creations of The Great British Baking Show, envy no more. Recreational cooking classes abound and are regularly held by such groups as Edible Adventures at Platt College (campuses statewide) or The Girl Can Cook! in Broken Arrow. Specialty stores like the International Pantry in Norman also offer courses to bring out the inner chef in anybody, regardless of experience. Older adults have a wealth of knowledge and experience to offer others. Signing up to become an adult literacy instructor or to tutor students in specific skills is a great way both to give back to the community and keep learning. Schools, libraries and adult education programs are in perpetual need of skilled adults willing to donate their time and expertise to helping others learn. Since 1992, groups like the volunteer musicians of the Tulsa Oratorio Chorus have given popular performances of the most famous works in classical choral music. International barbershop ensembles such as the Sweet Adelines have chapters in Oklahoma City and Tulsa and are always on the lookout for talented, enthusiastic singers. Many church organizations also have opportunities for older adults to raise their voices in song. Whether you’re in it for the laughs or the limelight, whether you are acting onstage or making sure a show runs smoothly behind the curtain, participating in community theater helps older adults forge connections not only with other theatre participants, but with their communities at large. Theatre Tulsa and Oklahoma City’s Jewel Box Theatre often have casting calls, as do smaller community theaters in such areas as Bartlesville and Miami. J.K. Rowling said it best: “When in doubt, go to the library.” The activities previously described are just a few examples of the myriad programs that libraries offer for older adults. Some also schedule events like “memory cafés” for those with cognitive decline or early stage dementia and their caregivers to gather for socialization, activities and support. Individual libraries often need help with tasks like shelving or organizing book sales, and organizations like the Friends of Libraries in Oklahoma (FOLIO) are dedicated groups of volunteers who help libraries across the state. “Library programs provide a safe, familiar place for older adults to be engaged in lifelong learning through innovative programs, enriching individuals by creating community connections,” Breathwit says. Regardless of whether you want to shake it solo or bring a group of family and friends, dancing is a healthy, fun way to stay active and interact with others. While fitness-oriented classes like Zumba are available at most gyms or YMCAs, recreational activity centers and public libraries also have free programs for all ages. 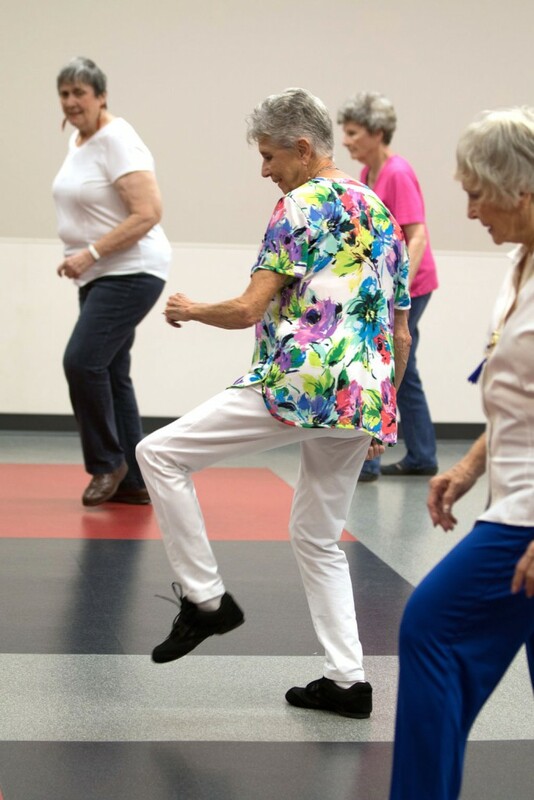 Dancing isn’t just limited to fitness moves either; some programs offer lessons on line or ballroom dancing to help older adults stay healthy and have fun. The greatest dangers faced by Oklahoma’s older adults aren’t simply physical; many encounter social isolation if they become homebound, lose transportation or don’t have a close network of family and friends. Calvin Moore of Meals on Wheels Tulsa concurs.